Awarded north west carpet fitter of the year for two years running by the national institute of carpet and floor layers. Revitalising your property can be an exciting time, but replacing the flooring with new carpets is often extremely expensive. Don’t leave the fitting of your new carpets to chance; give me a call. I’m Allen, a skilled and professional carpet fitter that you can rely on to do a tremendous job. My flooring installation services include carpet fitting and laying vinyl and laminate flooring. No matter how much work you require, there is no project too big or too small for me to complete. CONTACT ME NOW, IN PRESTON, LANCASHIRE, TO ENSURE YOUR CARPETS AND LAMINATE FLOORING ARE INSTALLED BY A QUALIFIED CARPET FITTER. Choosing a reliable carpet fitter to perform work in your home can often be stressful.  However, you can rely on Carpets In Garstang to do a great job. I’m Allen Hibbert, the owner of the company and an experienced carpet fitter. You can rest assured that you will receive a personal and friendly service from me. Based in Preston, Lancashire, I have an impressive 40 years of experience which sets me apart from the rest and ensures I’m highly competent in my work. I’m extremely proud to have received the North West Carpet Fitter of the Year award from the National Institute of Carpet and Floor Layers two years in a row. From laminate flooring to vinyl, I cover all aspects of flooring and can offer you sound advice pre-project to ensure the end result is exactly what you want. Monday – Sunday 8:00 a.m.- 8.00 p.m.